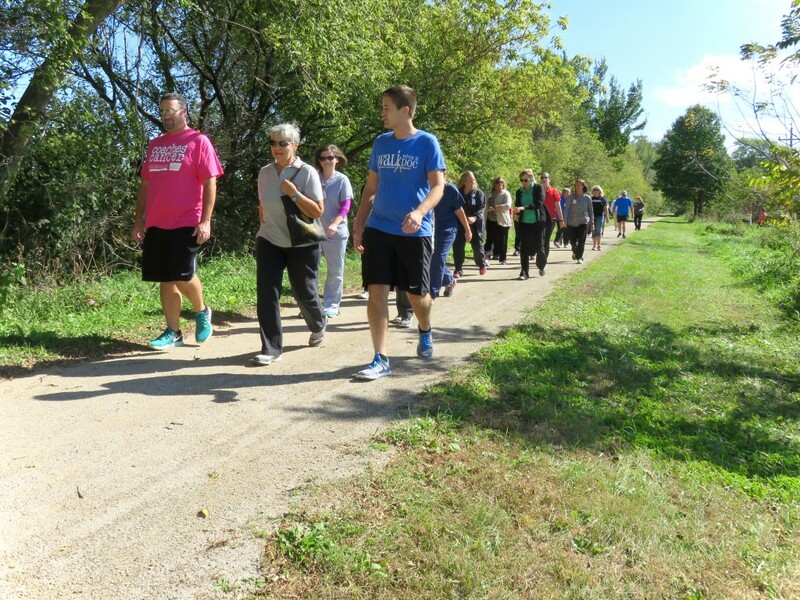 Walk with a Doc has been met with enthusiastic response in Grundy County Iowa, where UnityPoint Clinic physician Dr. Eric Neverman and sponsor Grundy County Memorial Hospital are encouraging area residents to join the organized walks monthly. 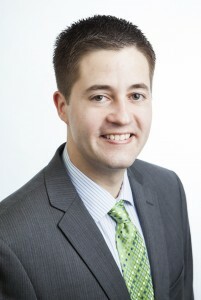 The first Walk was held in conjunction with Iowa’s Healthiest State Walk, in which residents across the state were encouraged to walk for at least thirty minutes. According to the American Heart Association, walking has the lowest dropout rate of any physical activity. Think it doesn’t do any good? Think again. Walking is low impact; it’s easier on the joints than running. It is safe – with a doctor’s okay – for people with orthopedic ailments, heart conditions, and those who are more than 20% overweight. In addition, research has shown that you could gain two hours of life for each hour of regular exercise! That quick stroll around the block seems a little more worthwhile now, doesn’t it? Walk with a Doc is a walking program for everyone interested in taking steps for a healthier lifestyle. While you walk at your own pace, you’ll have the opportunity to have questions answered by Dr. Neverman and other participating providers. 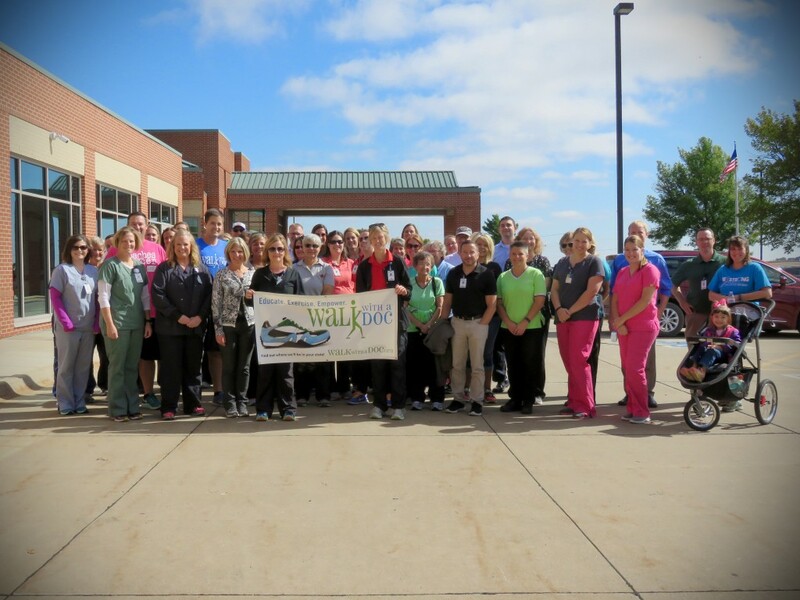 Walk with a Doc started in Columbus, OH in April of 2005 by Dr. David Sabgir and has now expanded throughout the country, including ten sites in Iowa. 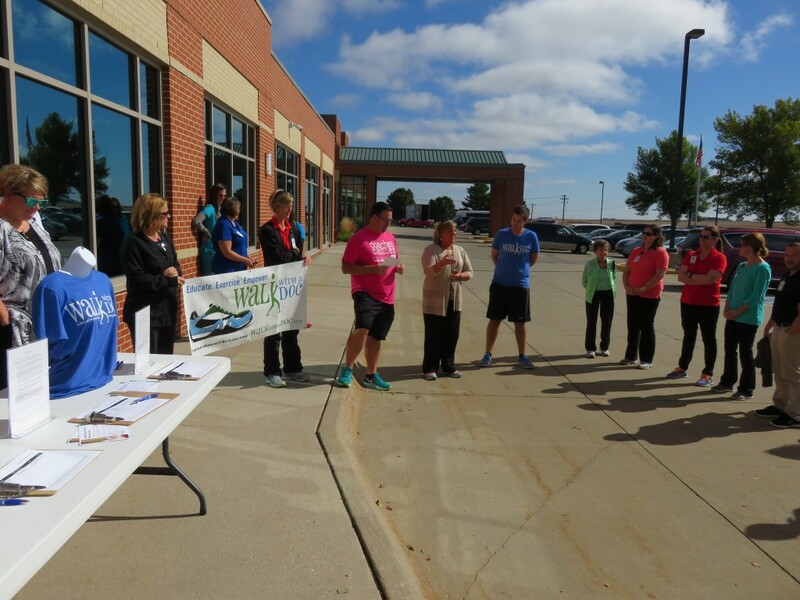 You’re invited to put on your comfortable walking shoes and join the Grundy County Walk with a Doc program! It’s free, it’s easy to find, and everyone is welcome! Grundy County’s Walk with a Doc program introduced by Grundy Center Mayor Brian Buhrow, left, Grundy County Memorial Hospital CEO Jennifer Havens, center, and lead physician for the walks, Dr. Eric Neverman, right.